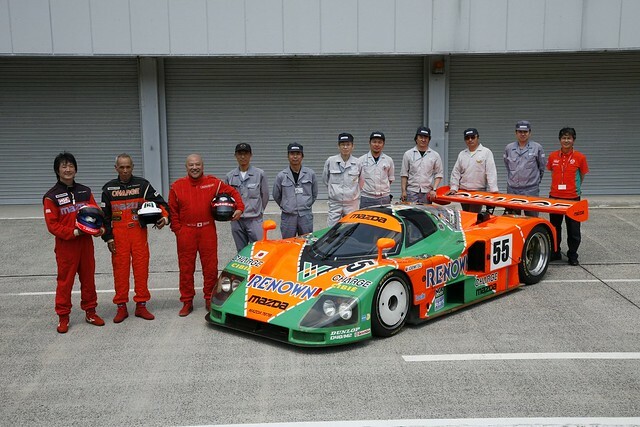 Johnny Herbert, who was at the wheel when the checkered flag of victory went down on Mazda's 787B in 1991, drove the 787B for the first time in 20 years at the Sarthe Circuit. That thing is a pure beast! I love it! Looks very small.